The presence of private military contractors in Venezuela is reported by various sources. The alleged presence of the notorious Wagner group is not and cannot be officially confirmed, but if we assume that they are there, that means that thing could become rough. I conducted some research, on the internet, friends in the military and private military companies to try to understand the current status between private military contractors on the market. Which is the most feared private military company? It seems there isn’t a single opinion on the strength of a single private military company. What I did find, is that a lot of people identified Gurkhas from Aegis and Wagner snipers as most dangerous and most fearsome private military contractors out there. Aegis Defence Services is a British private military and security company. One of the largest companies in the world, however, the reason I am putting them first, is that one of the groups in Aegis kept coming up in my research. Gurkha – strong and agile soldiers with surprising endurance and fearlessness. Gurkhas are warriors who do not part with their famous Kukri knives. For centuries their craft was – serving as mercenaries for rajahs in India. It is believed that they despise death as a concept, which was actively used during the Falklands Conflict. “Jai Mahakali, Ayo Gorkhali” – “Praise/Victory to the Great Kali, Gurkhas are coming” – is a phrase often associated with Gurkhas on the battlefield. Wagner group is considered one of the smallest Private Military Companies in the world. Yet one, that many belief executes the tasks that the Russian Federation has to do unofficially. From Syria to Crimea, this group has presumably been tasked with protecting Russian national interest, without actual Russian military presence. Famed for de-militarizing Crimea without a single shot fired. And in fact, that is all that is known about them. They don’t have a phone number, email address or physical address or any other sign of they even exist. They have fought in Syria on the side of the Syrian government. The United States put the Wagner group on the sanction list over their participation in the Russian war against Ukraine. Wagner Sniper Group – approximated to be only14 people strong. One of the most feared single mercenary units in the world. Their commander – Andrey Bakunovich had died in 2017. He has been known to have pierced a 25 mm coin from 100 meters. This group is known for their current actions in Ukraine, taking command over the local military of Donbass and Doneck. I am sure there are many other private military companies. Moreover, I believe the most feared ones, are the ones we know nothing about. If you’re reading this article, chances are that you are looking for advice or answers on how to successfully secure a job in the Private Security sector. Even though this seems like a very niche and narrow subset within the broader spectrum of jobs, there are many disciplines and subsets of jobs within this sector. In fact, there are so many nuances amongst jobs within this sector that, very often, even seasoned veterans and contractors have difficulty navigating their way into jobs. First, let’s separate fact from fiction about this field. The private military and private security field is not simply for ex-special operators. In fact, the majority of candidates who are placed into jobs do not come from a SOF background. Another common misconception is that this field is only for men and that couldn’t be further from the truth. There is a great need for skilled female operators, particularly in executive protection jobs as well as a wide range of other security jobs. We have successfully placed a number of women into jobs all around the world ranging from mobile protective security specialist positions to surveillance operators. In the near future, we’ll publish a series of articles that are more specific to different job subsets; our focus in this article will remain on the general basics of how to get started in this uniquely experienced career field. Opportunities in this sector hinge heavily on two main factors: experience and reputation. Unlike most other jobs, your potential alone is not enough to secure a job in this sector. Whether you are looking for overseas private military jobs, domestic private security jobs, or corporate jobs within the private security sector, everything begins with a hard assessment of your actual experiences and your overall performance and reputation within this highly-skilled field. This means that if you do not have proven experience in this field, you will not qualify for any jobs -especially on our job board. Another critical item to keep in mind is to be humble. You may get rejected for jobs for which you feel you are qualified. Few things irritate us or Employers more than when a Candidate cops an attitude, demanding to know why they weren’t extended a job offer or when they preface an email or cover letter with, “I know I’m overqualified for this job, but…”. The inherent problem with this type of attitude is that this means you are only thinking within the limits of the minimum requirements; so besides indicating a certain level of immaturity and narrow way of thinking, it indicates that you didn’t even consider the qualifications of other applicants. The bottom line is that there may be other applicants that are simply far more qualified. In fact, it’s a good rule of thumb to live by that there are ALWAYS other highly-qualified people that exist in this world that are hungrier than you and have just as many qualifications as you, and then some. Don’t make the assumption that because something seems entry-level, that strong candidates aren’t applying to those jobs. There are a number of reasons why one job is ideal for a particular Candidate in a particular moment in time. Don’t also make the assumption that if a job requires an extraordinary amount of experience, that you are the only one that possesses those experiences and are the only one applying. If you are interested and qualified for a particular job, apply and let your qualifications speak for themselves instead of tarnishing them with a loud ego. Finally, we’re here to help veterans find employment, period. We offer a very unique service where we are able to place record numbers of veterans into skilled private security jobs, incredibly fast. We don’t get paid finder’s fees or any sort of compensation for placing Candidates so we have no targets to meet and don’t operate like recruiters. If you have a question or are feeling completely lost in your transition process, feel free to shoot us an email or a message on our Facebook page. But because we literally get thousands of new Candidates applying for jobs in our system on a daily basis, be respectful of our team’s limited amount of time and consider the needs other veterans who are applying for jobs. Applying for a job in a field or discipline that you’re trying to break into can be daunting, especially when the field is full of skilled and extraordinarily competitive Candidates. To begin, a few things you will need to have ready whether you apply to a job through our site or directly with an employer are: a resume, DD-214 (if applicable), and a photo. One thing that we do not require at Silent Professionals is a cover letter. The problem with resumes and cover letters is that they are all formatted differently. There may easily be hundreds or thousands of new applicants for any particular job on a daily basis – and oftentimes, only one or two of those candidates are actually qualified. It takes recruiting teams enormous amounts of time to sift through these resumes and good people frequently slip through the cracks. This is one of the main reasons why recruiting remains one of the most inefficient and costly processes in companies around the world. This is why we created a Candidate Intake Questionnaire in lieu of requiring a cover letter and encourage everyone to fill out this questionnaire. This intake questionnaire only needs to be filled out once, takes only a few minutes and asks specific questions around your training, licenses, certifications and experiences as they pertain to this field. Our team developed these questions based upon the most important factors that influenced an employer to discern and select one candidate over another for various types of private security jobs. It’s largely due to this intake questionnaire that when we receive a job from an employer, we’re able to instantly identify qualified candidates and reach out to them directly with the opportunity. By combining these two methods of identifying and targeting qualified Candidates, we are able to maintain an extraordinary track record of success in rapid placement for even the most stringent job requirements. This is why more and more employers trust our team to identify and vet candidates for their jobs – and we see this as a win-win for both the Employer and the Candidate. Our collective team at Silent Professionals has a wealth of operational experience in every service, branch and select unit from the US military. But we also have a broad spectrum of operational experience in jobs within the private security sector, government agencies, law enforcement, and other corporate sector industries. We heavily leverage our knowledge, experience, and networks in these spaces to personally vet all candidates who apply for jobs on our site. Our process of identifying and vetting qualified Candidates is what enables employers to place nearly everyone we recommend. Employers trust and rely upon our experience and guidance on identifying and vetting qualified candidates for their private security jobs. We are also selective when it comes to Employer selection. It is an unfortunate reality, but there are unscrupulous Employers who fail to compensate their Contractors / Employees. Employers must have a demonstrated history of compensating people what they promised, when they promised. If we find that a prospective Employer failed in this area in the past or does not have a verifiable history, we simply don’t post their jobs. At the end of the day, we are advocates of the Veteran Candidate. We know what employers are looking for across this entire complex and specialized sector because we’ve all been in your shoes – and we’re here to help you. We receive countless emails from people seeking security jobs without a military / law enforcement / defense background; if you fall into this category, Silent Professionals is not the job board for you. If you are interested in the security field, we encourage you to either join the military or a local law enforcement group first; or seek a local entry-level security guard job and then find training and schooling along the way to grow your experiences in this field. Other factors that will disqualify a Candidate – especially in the private military subsector – is an unsatisfactory military discharge, poor credit, a criminal history, or any other factors that will prevent the Candidate from obtaining a Security Clearance. Private military jobs almost always require the ability to obtain a clearance, so if a Candidate cannot obtain a clearance, that Candidate will be rejected. Private security jobs that are not specifically within the private military subset of jobs may not require a clearance, but this is where your reputation comes into play. The conditions surrounding your situation will be evaluated as well as the actions (or inactions) you took afterward to rectify it. While rare, we understand that there can be exceptional cases and consider those on an individual basis. By far, the most damning disqualifying factor that exists more than we’d like to admit is when a Candidate lies about or exaggerates their credentials. At Silent Professionals, fabricating or grossly exaggerating your credentials will get you banned for life. Even if you are a military/law enforcement veteran – if you lie or fabricate your experiences, you too will be banned for life. If you’re an honest person, don’t let this make you nervous. Because of our team’s experience, it is very apparent when a Candidate is fabricating their credentials versus a when a Candidate has some typos or makes simple mistakes on their resume. Our team has reach into every service, agency, company and community that touches this sector; therefore, we conduct peer reviews on every Candidate to corroborate a Candidate’s experiences and reputation prior to sending their Candidate file to an employer. Don’t put all your eggs in one basket. It’s a situation we run into EVERY. SINGLE. DAY…where we have an extremely seasoned Candidate that holds out for a “dream opportunity” and rejects every other opportunity that they think is beneath them. When the dream opportunity vaporizes (which happens more often than not), they go back to the opportunities that they thought weren’t good enough – only to find that other Candidates filled the remaining billets and those jobs are no longer available. We cannot stress enough that until you are standing in the job and getting paid for it, you do not have the job. Honestly evaluate the jobs you’re interested in and apply for them if you are qualified (do not apply for a job if you have absolutely no intent on doing that job). Even if the compensation is lower than what you were hoping for, some money coming in is better than no money. Get the job offers first – it’s far better to be in a position to be able to choose than to have no choice at all. Prince is partially responsible for modernizing the private army for the post 9/11 world, outsourcing militaries to cheap, specialized labor pools and skirting traditional regulations meant to ensure accountability for armed forces. Prince’s trip around the world starts in the United States. Born in an affluent Michigan family, his family maintained deep ties to the Republican establishment and several conservatives, religious organizations like American Values. His sister, Betsy DeVos, married into one of the most influence political families in the Midwest, the DeVos’s, and began helping to run the Republican party machine in Michigan. That marriage, which tied the Prince and DeVos family together, has given Erik unprecedented political access into the federal government. His list of close allies including Steve Bannon, U.S. President Donald Trump’s former chief strategist. His sister gives him a direct line of access to Trump himself. 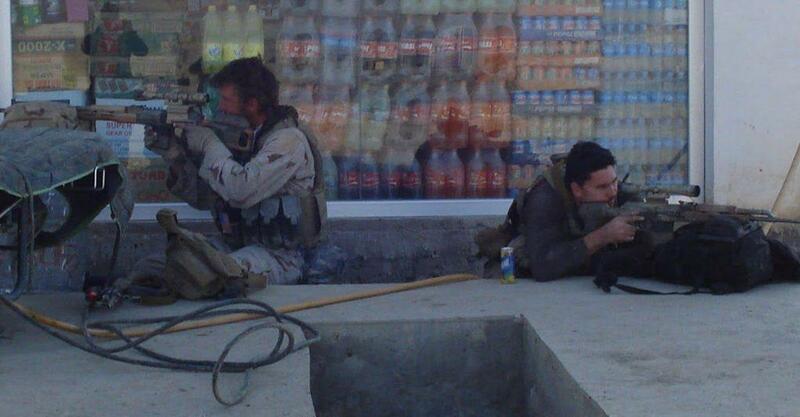 Erik became a Navy SEAL and then established his own private military firm in 1997, Blackwater. Once the U.S. invaded Iraq in 2003, Blackwater received billions in contracts from the U.S. government to help supplement the official mission with private boots on the ground, relatively free from accountability or laws from any particular government. Blackwater’s activities in Iraq are infamous and account for Prince’s self-imposed exile from the United States. Apart from harassing Iraqi civilians and running them off of roads with their armored personnel carriers, they also indiscriminately gunned down 14 innocent people in Baghdad in 2007, drawing an investigation and heavy criticism from media outlets around the world. 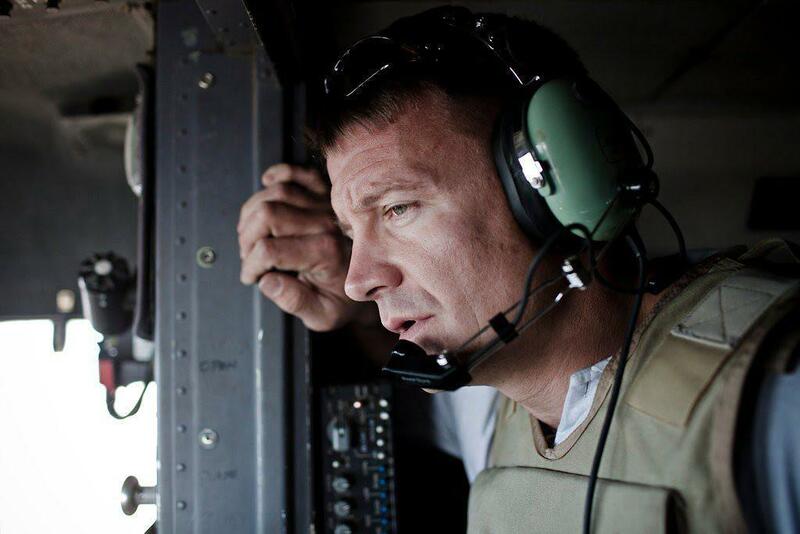 The incident stands as a cautionary tale for when mercenary groups such as Blackwater are able to operate without sufficient legal or logistical oversight. Facing a wave of scrutiny, Prince left Blackwater and the firm changed its name twice (to Xe and then Academi) to escape the heat. Many thought they had seen the end of Erik Prince, but he resurfaced later at the helm of a different private military company. In 2011, Erik Prince was appointed by the crown prince of Abu Dhabi to make a secret, private army. For this, he was paid $529 million. In documents obtained by the New York Times, the mission of this privately commissioned battalion included “intelligence gathering, urban combat, the securing of nuclear and radioactive materials, humanitarian missions and special operations ‘to destroy enemy personnel and equipment,’ and crowd-control. Prince hired Colombians and nationals of other countries thousands of miles away to fill his ranks for two reasons. First, Prince was looking to pay them as little as possible. Second, they weren’t Muslims. Prince surmised that Muslims could not be trusted to kill other Muslims. A few years later in 2015, Saudi Arabia began its military intervention in Yemen and recruited a host of other Arab nations to join its coalition. Abu Dhabi’s crown prince, a business partner to Erik Prince, Sheik Mohamed bin Zayed al-Nahyan, signed up for the cause in order to destroy any creeping Iranian influence in the war-torn nation. Erik Prince and his U.A.E. private military firm helped recruit and train over 1,000 soldiers from Latin American countries. Then, their bodies started appearing on battlefields in Yemen. A single missile reportedly killed 45 mercenaries from the U.A.E. The U.A.E. keeping and even expanding Prince’s blueprint for a private, outsourced army demonstrates just how influencial he and his mercenary business model has become. Interestingly enough, Prince’s business with FSG took him to Azerbaijan, where he was paid by the government to help it deal with its Armenian problem. Armenians are concentrated into Azerbaijan’s Nagorno-Karabakh region, which seceded from Azerbaijan and formed a semi-recognized, de facto state. Azerbaijan called on Erik Prince and FSG to help it keep watch on the Nagorno-Karabakh region, also called the Republic of Artsakh. In response. Prince wanted to show the government two crop duster planes meant for agricultural use but refitted for military purposes. The planes were meant to be outfitted with state-of-the-art surveillance technology and were supposedly able to fire missiles. They never made it to Azerbaijan after an investigation shut the sale down. In response to this controversial arms trade, all but two Americans on the FSG executive board quit due to concerns that he was not serving U.S. interests. This has freed Prince to deal more closely with the Chinese. FSG’s public focus is on providing security and logistical help to eastern African countries such as South Sudan, Kenya, Somalia and the DRC. One of FSG’s ventures appears to help oust the extremist militant group, Al Shabaab, from southwest Somalia—an area it has largely controlled for years. “We have brought together strong international business leaders to team-up with talented Somali entrepreneurs to make development in South West Somalia a reality,” an FSG statement reads. FSG’s headquarters is in Hong Kong, and though it publicly states that its focus is on eastern Africa, FSG is now reported to be doing domestic work on behalf of the Chinese government. FSG is partially owned by CITIC, a Chinese-government own investment firm. CITIC is slowly taking more and more control of FSG and is reportedly already the dominant shareholder, meaning it has greater power than Prince to determine the company’s vision and business deals. “The Chinese are gradually taking more control” of the company. CITIC is now playing a larger role as Frontier’s dominant shareholder, said Xin who heads the International Security Defense College that trains security personnel and is overseen by FSG. One of FSG’s most recent missions has been to train thousands of security personnel in China’s northwest Xinjiang province, where millions of ethnically Turkic Muslims called Uyghurs live. Uyghurs are routinely targeted by the state due to continuous attempts by some to break away from China and form an independent state. Thousands of Uyghurs are part of an extremist group called the Turkistan Islamic Party (TIP), whose leaders are hiding in Pakistan and whose members have a heavy presence in Syria fighting against the Syrian regime. Human Rights Watch accused the Chinese government of “deploying a predictive policing program,” using massive surveillance technology and a web of high-tech surveillance cameras and compulsory data collection. They’ve also reportedly sent thousands of Uyghurs to Chinese ‘re-education’ camps. This list only details a few of Erik Prince’s ventures, and does not include an attempt by Prince to send thousands of mercenaries into Afghanistan and reform the political structure of the entire country to essentially be a colony for the United States. However, Prince has transformed battlefields everywhere and fundamentally altered the way governments construct security apparatuses. Iran is heavily reliant on outsourced Afghani mercenaries to be cannon fodder in the war in Syria. 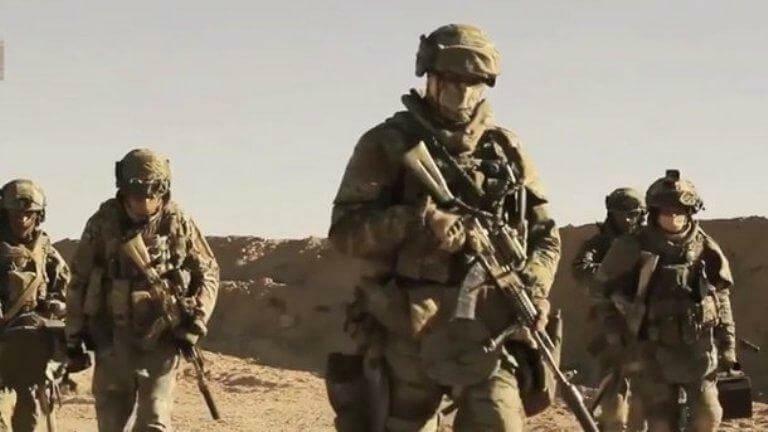 Russia is supplementing its own intervention into Syria with mercenaries hired by the state-backed Wagner Group who also sends troops to Ukraine. To beat back the nascent extremist group Boko Haram, Nigeria hired private, Apartheid-era security forces from South Africa to do the job. Thanks to Erik Prince, outsourcing military and intelligence labor is now the norm. Currently Prince appears to be under investigation by Special Counsel Robert Mueller, thanks to meetings he had arranged with a close aide to Russia’s President Vladimir Putin, Kirill Dmitriev in the Seychelles Islands, a place its own government explains is “the kind of place where you can have a good time away from the media.” The meeting was allegedley to set up a backchannel between Trump and Russia in order to facilitate clandestine communications. McFate told Al Bawaba that Prince’s use of mercenaries allows countries to enter into and escalate conflicts without having to report it to their citizens; his tactic gives governments “plausible deniability” to anything that the mercenaries do.